Blackwing builds on AeroVironment’s extensive operational experience with small unmanned aircraft systems (UAS) and its Switchblade Lethal Miniature Aerial Missile System (LMAMS) to provide the Navy with a low cost, submarine launched unmanned aircraft system optimized for Anti-Access/Aerial Denial (A2/AD) environments. AeroVironment developed the Blackwing system as part of a 2013 Navy and United States Special Operations Command (USSOCOM) sponsored JCTD called Advanced Weapons Enhanced by Submarine UAS against Mobile targets (AWESUM). This JCTD was completed in September 2015 with a strong recommendation to transition the capability into the fleet. 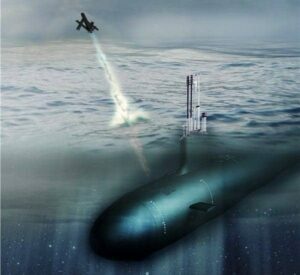 Blackwing employs an advanced, miniature electro-optical and infrared (EO/IR) payload, Selective Availability Anti-spoofing Module (SASSM) GPS and AeroVironment’s secure Digital Data Link (DDL), all packaged into a vehicle that launches from manned and unmanned submarines.